At Reliable Biopharmaceutical LLC, we recognize the goal of our customer is the development of products for human care. We provide the ingredients to make that happen. Reliable Biopharmaceutical LLC plays a critical role for many Pharmaceutical, Biopharmaceutical, Generic Pharmaceutical, Diagnostic, and Cosmetic companies by manufacturing both Active Pharmaceutical Ingredients (APIs) and High Purity Ingredients (HPIs) such as cGMP excipients and advanced intermediates. For over 40 years, Reliable Biopharmaceutical's simple philosophy has remained unchanged: "Flexible, customized response to customer's needs." Founded in 1968, our company provides the Life Sciences industries with the highest quality products available. With manufacturing facilities located in the US we work under current Good Manufacturing Practices (cGMP) in FDA approved facilities. Reliable Biopharmaceutical LLC expands manufacturing capacity for Lithium Dodecyl Sulfate and Sodium Dodecyl Sulfate in its St. Louis, Missouri facility. Reliable Biopharmaceutical LLC announced today that it has expanded their manufacturing capacity for Lithium Dodecyl Sulfate (Lithium Lauryl Sulfate) and Sodium Dodecyl Sulfate (Sodium Lauryl Sulfate). Both products are manufactured in the United States at our St. Louis facility. Lithium Dodecyl Sulfate and Sodium Dodecyl Sulfate are used in the manufacture of diagnostic tests and in the pharmaceutical industry for protein isolation and purification. 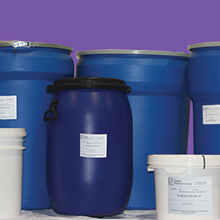 Also known as Dodecyl Lithium Sulfate or Lithium Lauryl Sulfate, LDS and SDS are sold both in research and bulk containers. leading developer and manufacturer of complex generic injectable APIs. The company has a number of DMFs that have been accepted by Regulatory Agencies and has more in various stages of development. RB's products are the active ingredients for leading generic injectable drugs that treat cancer, heart disease, hypertension, anxiety and other serious and life threatening illnesses. 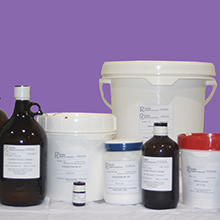 RB also manufactures critical processing aids for the pharmaceutical industry and currently supplies these products to many of the world's leading pharmaceutical and biotechnology companies. Reliable Biopharmaceutical LLC, a cGMP manufacturer of active pharmaceutical and high purity ingredients, today announced the appointment of Jeff Jochims as an independent member of its newly reformed Board. “We’re excited to welcome Jeff to our Board and look forward to leveraging his global experience in the life sciences industry. Jeff brings a strong customer orientation and tremendous track record of growth and share gains that will be a great asset as we position our business to fill market demand for cGMP specialty chemicals around the world,” expressed David Feldker, President and CEO of Reliable. Reliable is an integrated developer and cGMP-certified manufacturer of Active Pharmaceutical Ingredients (APIs) and High Purity Ingredients (HPIs) for pharmaceutical and biologics production. It has established a strong position as a developer and manufacturer of complex generic injectable APIs. The company has a number of DMFs that have been accepted by Regulatory Agencies and has more in various stages of development. Reliable also manufactures critical raw materials used in biopharmaceutical drug production, including high purity sugars, biological buffers, reagents, and excipients. Reliable Biopharmaceutical LLC, a cGMP manufacturer of active pharmaceutical and high purity ingredients is excited to announce that Blue Diamond Capital LLC has joined the Reliable team. Blue Diamond Capital, led by its founder John Hollenbach, invested in the St. Louis-based company. Additionally, John will assume the position of Executive Chairman of the Board. “Reliable has a strong foundation in which we look for in a business: diverse manufacturing capabilities, robust quality systems and culture, and a strong leadership team,” said John Hollenbach. David Feldker, President and CEO of Reliable, added “John brings decades of experience and connections in the pharmaceutical manufacturing industry. He has a proven track record of building businesses in the specialty chemical industry. We look forward to leveraging his management experience, business relationships and knowledge of the markets in which we operate. 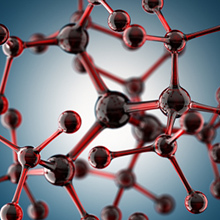 ” Blue Diamond Capital’s operating team and leadership will help the company expand its capabilities and take advantage of the ever-expanding demand for high quality raw materials and active ingredients used by injectable therapeutics producers. Blue Diamond Capital, LLC is a Raleigh, NC based investment firm actively investing in proven lower to middle-market companies ranging from $2 million to 200 million in revenue. BDC focuses on family-owned, founder-owned or privately held companies seeking a transition, are needing capital to expand or are poised to achieve a leading position in supporting the life science, advance technology or industrial related industries. Its principles and advisors have more than 100 years of collective experience in managing and operating businesses, strategic planning, succession planning and structuring and financing transactions.